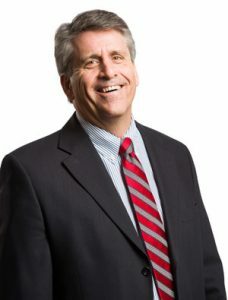 Jim is a seasoned business professional with more than 30 years of hands-on experience in strategic planning, developing sales and operations teams and building organizational infrastructure. He knows and understands the realities that business owners and managers confront daily. His expertise lies in his ability to support business owners in their quest to take under-performing assets and nurture them to higher profitability. The business grows as the leader grows. Jim wants to share his business growth experience and help others nurture their personal development. It is hard to be objective when we are so close to our business. As a coach, Jim provides valuable perspective and is a powerful resource to achieve the clarity of purpose and thought we strive for. Jim and his wife Mollie moved “back home” to Sackville, New Brunswick last year, after having lived in Quispamsis, NB for 23 years after returning from Calgary, via Toronto. They are empty nesters who enjoy taking their dogs Zeke and Ivy on walks on the sandbars of Upper Cape and the rolling hills of Fort Beausejour. Their daughter Faith lives in Halifax, NS and works as a Major Gifts Officer at The Nature Conservancy of Canada. Their son, Andrew, also in Halifax, is studying to be a CPA. Mission: To contribute to the Maritimes in a way that business owners have the skills, tools, and the courage to build their business and lives here, and that they are inspired to create the same opportunities and environment for other like-minded individuals. Is your business performing like you think it should? Introduction to Lean – Lean Advisors Inc. Beyond the Numbers (Financial Management for non-accountants) – J.D. Irving Limited. Plasticraft Limited, J.D. Irving Group, Saint John, N.B. Chandler Sales, a division of J.D. Irving Limited, Saint John, N.B. J.D. Irving Limited, Lumber Sales Saint John, N.B. Jim Flemming is a Certified FocalPoint Business Coach offering business coaching and assistance to Business owners and professionals in Southern New Brunswick and Northern Nova Scotia.